I can’t add to the column inches that have been written about the perfume called Bombay Bling except to say I love The Big Mango Opening, the lychee note, and the rest of the colorful journey that this energetic perfume takes you on. Kafka’s review is titled Dance Dance Dance! so let’s do that today with a trip to Bollywood to see the inspiration for this unusual perfume. In Bollywood an actor must also have dancing talent as you are about to see. A warning to the Ladies; best skip the last video as it is a heart racer. These videos are best viewed by clicking the Full Screen button on the bottom left of the YouTube screen. Note to Ipad users: some Ipads are not able to show YouTube links from WordPress. Laptops, desktops and smart phones will play the videos as long as your Adobe Flash player software is up-to-date. Lets start with Om Shanti Om, a blockbuster directed and choreographed by a woman called Farah Khan. Dhoom Taana is the song, and apart from that, I really can’t explain this one at all…except to say Farah Khan choreography! In the next video, also from Om Shanti Om, Farah Khan managed to get together the stars of Bollywood by giving them cameo roles in a dance sequence. This is akin to having the red carpet walkers from the Grammys all appear in the same movie in a dance number. Doom is an action movie starring the hip-swirling man-doll called John Abraham. Shah Rukh Khan was in the first two videos. You can see why he is known as The King of Bollywood. His grandfather is a Pashtun from Afghanistan. The following sequence is from Om Shanti Om when he was 42 years young. Ishq Bina means it is hard to live without Ishq (Love) in life. There are two versions of this love ballad here. The movie is called Taal. My friend since 5 years old, Manisha, slow walked into the temple on her wedding day wearing a white sari with 10,000 hand-beaded red and white Swarkoski crystals to this song. We were breathless. Is it pain, or is it the cure for pain? It’s hard to feel sorry for yourself when the lovers are separated by evil villains, strict parents, society rules and even the gods themselves; when everyone, including the dashing hero, cries a river; when beautiful women jump from behind the trees and break out into a song on the spur of a moment; when the colors are so vivid that you feel dazzled. The best escapist fun! Do you have Bollywood Dreams? Lanier at Scents Memory has a story about a jungly girl who was told that her ankles were too thin to become a dancer. Does she make it to Bollywood to star in the movie version of Bombay Bling? You can find out here. So how does this perfume smell, based as it is on colour, movement and tight choreography? You can find out in the real perfume reviews below or by ordering a sample set of Bombay Bling, Trayee and Mohur for $US27 or a discovery set for $US117. Full bottle worthy? $US250 for 55ml. Kafka – Dance Dance Dance! Australian Perfume Junkies – a hot, white and green sensation. The Scented Hound – reminds me of purity, optimism and sheer happiness. Olfactoria’s Travels – Green mango, carefree happiness and all that is great about Bollywood are radiating out of that bottle, infecting you and all around you with a good dose of joy. All I Am a Redhead – A happy, smile-inducing mango perfume. In the beginning. Later, you lose the mango prominence and the whole perfume is a riot of smells (in a good way). 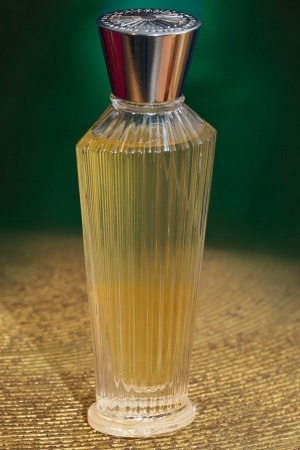 Bois de Jasmin – a Bollywood dance in a bottle, swirling its notes around an insistent drumbeat of patchouli. Released last month; this is Chennai Express. The Fragrant Man will be back on Friday with Neela Vermeire Créations’ latest creation. Ha! So today you take on my favorite Bombay Bling! Great! And look at all these videos! Thank you for the link referral, dear Jordan. I love the videos. Just love them! I’m going to have to come back and spend even more time with them because who can resist?! Where’s my fan? Phew! Absolutely worn out with all that dancing. Wonderful videos – colour, energy and over-the-top – loved them. A fan on the dance floor is a great idea. And a wind machine! Great news, especially for Mysore Sandalwood lovers and others. Trayee is my favourite but this Bombay Bling makes me feel happy. You must be back from Pitti. Obviously a successful trip.